Strategic Alliance Group is the largest provider of advertising and promotions via automated tellers. Our network of ATMs spans every major market in the continental US. We offer the perfect opportunity to inexpensively reach millions of potential customers. Our networks include ATMs at bank branches and off-site locations, and many you probably didn’t know existed. 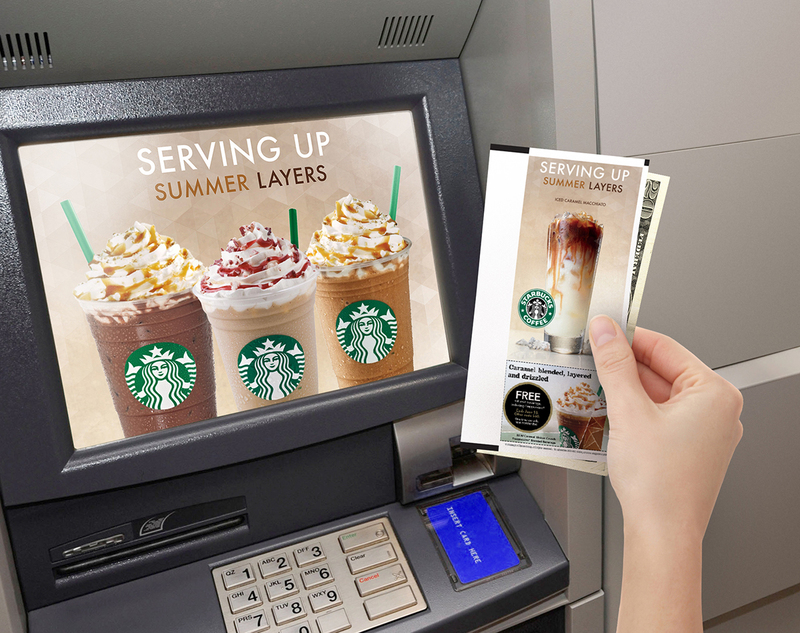 We can reach consumers through ATM screen advertising and four-color receipts delivered at the point of transaction. It’s a powerful one-two punch that generates awareness and product-specific requests. We can further merchandise your promotion with various ATM display: signage, toppers, posters. And in some cases we can offer bank statement inserts to reach prospects at home. Our ATM promotions come with consumers’ undivided attention, high retention rates, and excellent ROI.